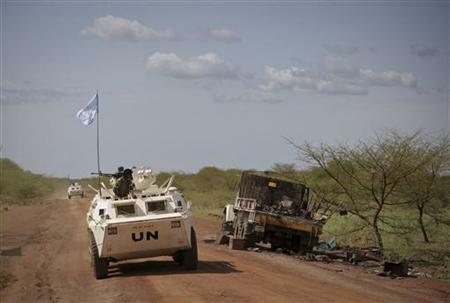 The United Nations Security Council on Monday unanimously approved a resolution authorizing the deployment of 4,200 Ethiopian troops to Sudan’s disputed Abyei region, a move diplomats said was aimed at defusing tensions in the run-up to the southern third of the country declaring independence on July 9. The resolution, which was drafted by the United States and authorizes the deployment of the troops for a six-month period, comes a week after north and south Sudan signed a deal in Addis Ababa to demilitarize Abyei and allow Ethiopian peacekeepers to monitor the situation. Diplomats said the resolution gave the force, called the United Nations Interim Security Force, the authority to take “necessary actions,” including the use of military force, to protect civilians or in self-defense. The resolution comes against a backdrop in which the Security Council has been authorizing the use of force in recent months to protect civilians in countries like Libya and the Ivory Coast, where nations are deemed to have failed to shield citizens from atrocities.